Somnath Temple being one of the twelve Jyotirlinga shrines of the Lord Shiva, is the most sacred and popular pilgrimage destinations of India for Hindu worshipers. the year 2008-09, which is 2.5 % of the total tourist inflow in Gujarat. and Triveni Sangam makes it an ideal location to be promoted as spiritual centres along with wellness resort. • Somnath Heritage Center comprising of Exhibit Hall etc. • Marine Museum comprising of Exhibit Hall, Audio-Visual Hall etc. 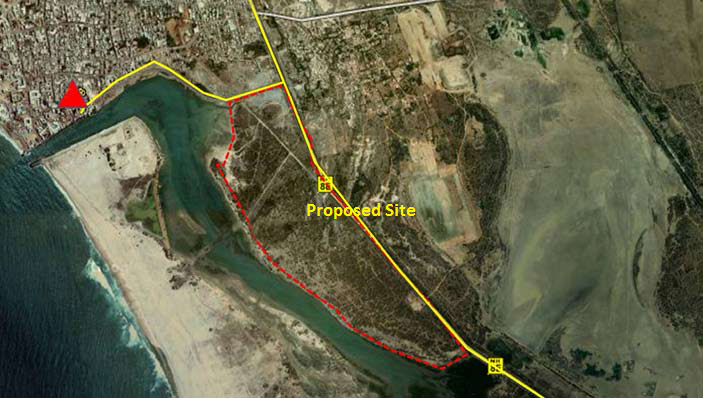 Total Site Area : 6.54 Ha. Dwarka Local Circuit includes - Dwarkadheesh Temple-Sharda Peetha-Rukmini Temple-Shivrajpur Beach-Beyt Dwarka-Nageshwar Mahadev Temple-Gopi Talav. Spiritual Circuit / Religious Circuit comprising of Dwarka and Somnath, generally followed by the pilgrims. Somnath situated at a distance of 249 km from Dwarka is a major pilgrimage destinations and one of the 12 Jyotirlingas. 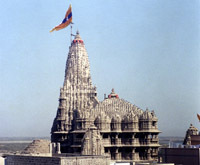 Dwarka being one of the four Dhams and most sacred pilgrimage destination in India can be promoted as a pillar of an important religious circuit. 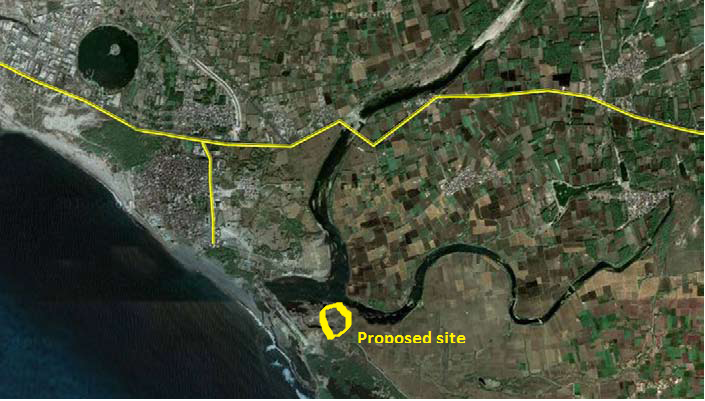 Total Site Area : 8 Ha. Other Components - Parking and Circulation, Toilets / Washrooms, Drinking Water Facility, Administration building, Common Utility Area etc. Audio Visual Theatre, Waiting Sheds, Sitting Platforms, Outdoor Theme Settings Recreating the Scenes and Landscape of the Era through Sculptures. 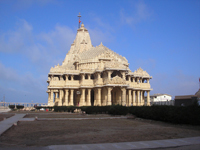 Dwarka is one of the seven sacred cities or ‘Sapta Puris’ and one of the four Divine Abodes or ‘Char Dhams’ of India and attracts tourists from all over the world. The glory of Dwarka as the golden city is described in various Hindu epics like Mahabharata, Bhagvad Gita, Harivamsha, Sijupdlavadha, Skand Purana, Vishnu Purana etc. The town is located on the extreme western end of Kathiawar peninsula, where the River Gomati meets the Arabian Sea. 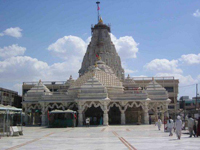 Ambaji is one of the most popular pilgrimage destinations in the state for Hindu Worshippers. Ambaji is the one of the 51 Shakti Peeths where, according to mythology the heart of Maa Durga lies. This is the principle shrine of a goddess who has been worshiped since the pre-Vedic period. 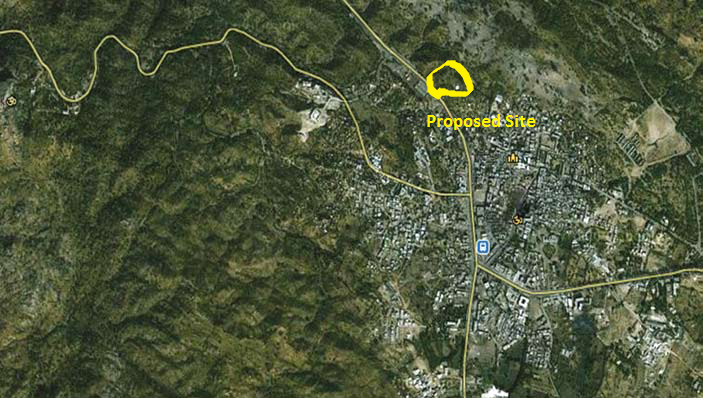 The site proposed for Religious Tourism is located within close proximity to Ambaji Temple in the Banaskantha District of Gujarat. Ambaji is an existing religious destination generating maximum footfalls compared to any religious destination in Gujarat. It attracted the maximum pilgrims of around 1.49 million during the year 2008-09, which is 9.41% of the total tourist inflow in Gujarat. Ambaji accounted for maximum extended stay visits at 28% of the total religious tourist inflow in Gujarat. Places of interest are as follows: Local Tourist Circuit: Ambaji Temple, Manasarovar, Gabbar Hill Top, Kumbharia Jain temples, Richadia Mahadev Temple, Khedbrahma, Koteshwar Temple, Kamakshi Temple, Kailash Tekri. Regional Tourist Circuit: Shamlaji Temple, Polo Mandir, Idar, Taranga Hills & Forts, Devi Ni Mori, Jessore Sloth Bear Sanctuary.